With the quality of outdoor furniture on the rise, some consumers are starting to move it indoors. A recent article in the Wall Street Journal discussed the trend of people using outdoor furniture for rooms under the roof. Families especially find the easy maintenance of outdoor fabrics an important feature with kids spilling drinks and food. Agio’s Ashmost Deep Seating collection is an example of an outdoor furniture collection that is suitable for a sunroom or other interior room. Cast aluminum frames feature graceful, artisan-inspired design work, while truly deep-seated cushions invite family and guests to linger and relax. 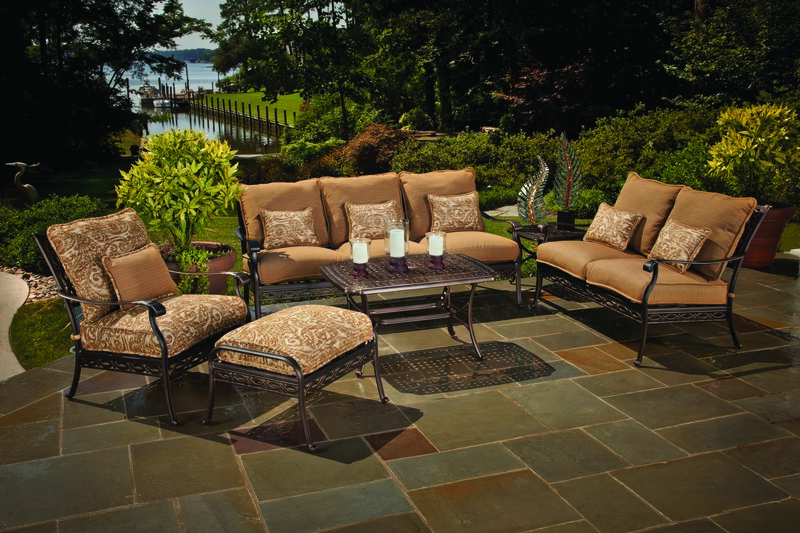 Outdoor furniture can help bring affordability, versatility and durability inside the home as well as outside.